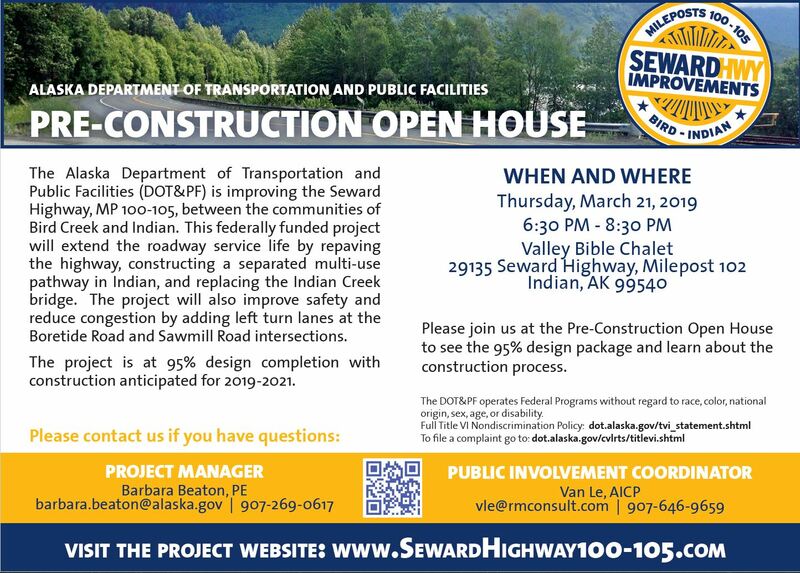 Please join us at the Pre-Construction Open House to see the 95% design package and learn about the construction process anticipated for 2019-2021! If you have questions, please contact a member of the project team. 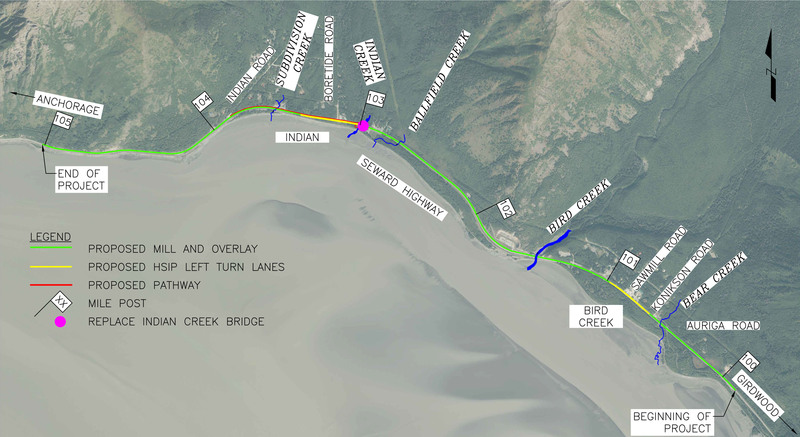 The Seward Highway MP 100-105 Improvements project Pre-Plans, Specification & Estimates (Pre-PS&E) 95% Design Completion Plan Set is now available! Please visit the documents page for the complete plan set. If you have questions or comments on the 95% Plans, please contact a member of the project team. The 65% Design was presented at the public open house on August 30th, 2016. The complete Plans In Hand design is available for review on the Documents Page. If you have questions or comments, please contact a member of the project team or submit a comment through the provided comment page. Thank you for coming to the Anchorage Transportation Fair to learn about the project, meet members of the Project Team, ask questions and provide feedback. Please check back for future public involvement activities, or contact a member of the project team with questions or comments. If you missed the Open House, you can still ask questions and provide feedback! The Alaska Department of Transportation and Public Facilities (DOT&PF) is proposing improvements on the Seward Highway, MP 100-105, between the communities of Bird Creek and Indian. 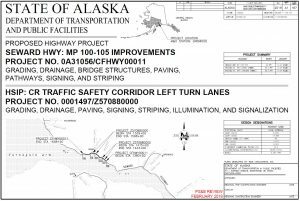 The federally funded action includes a Resurfacing, Restoration, and Rehabilitation (3R) project, and a Highway Safety Improvement Program (HSIP) project. The 3R project will extend the roadway service life. 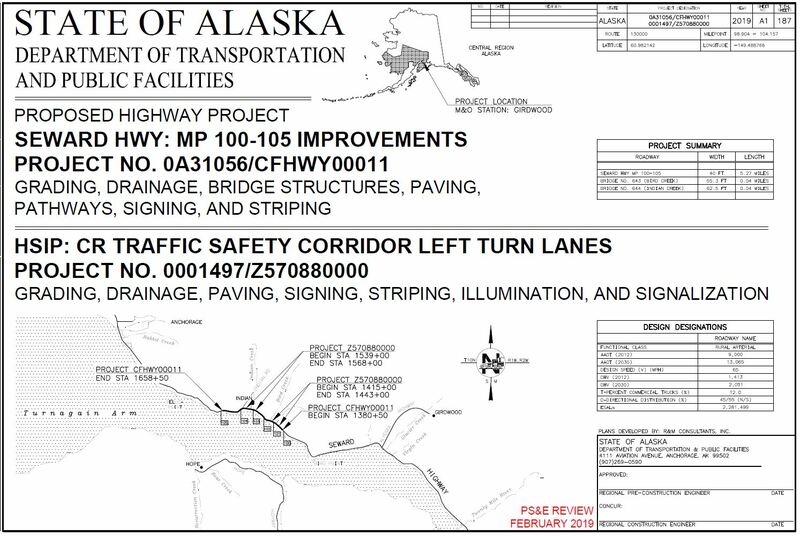 The HSIP project will improve safety and reduce congestion. Rehabilitating the Bird Creek Bridge. The project is currently in the 95% final design phase. 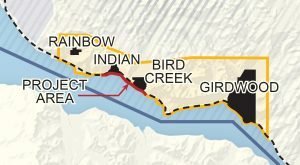 The 95% Design is being presented to the public at an open house on Thursday, March 21st at the Indian Valley Bible Chalet from 6:30 PM to 8:30 PM. 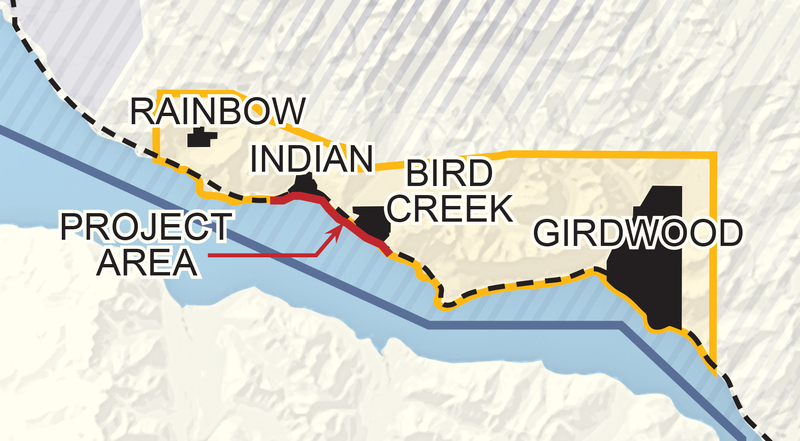 Once design is finalized in April 2019, a contractor will be selection with construction beginning in late 2019-2021.